I was able to attend the Salt Lake City showing of Cirque Du Soleil’s, OVO. The show was absolutely incredible!! 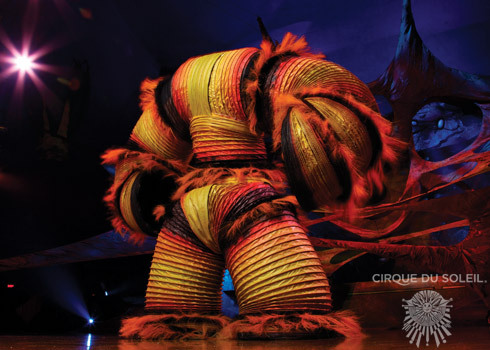 I had never had the chance to attend a Cirque Du Soleil show before and I was blown away!! The entertainers had such talent and executed their parts perfectly!!! The show had amazing costumes! The bright colors and details really made it so fun to watch!! My husband and I kept looking at each other in awe of how amazing each act was!! Each act was highlighting a different type of bug. I couldn’t believe how creative they were when incorporating the act into bug form!! Here are some of my favorite parts of the show! This was such a beautiful act! The butterfly emerging from the cocoon. 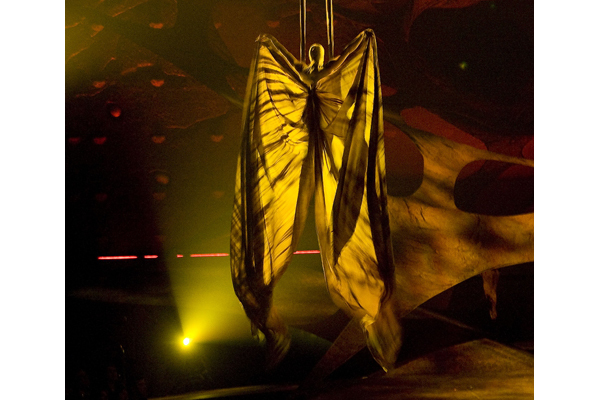 This act was done on the silks and was so incredible to watch the transformation take place!! This creature was so crazy to watch!! It was hard to tell most of the time if there was even a person inside! The way that is twisted and turned was so crazy and nothing I had ever seen before! This act was unbelievable! He walked, jumped, rolled , and swung on the slack wire! He then topped off his performance by throwing in a unicycle!!! I don’t know how he does it!! We were mesmerized by this act! I would highly recommend this show when it comes back to SLC!! I loved it and I would see it again. 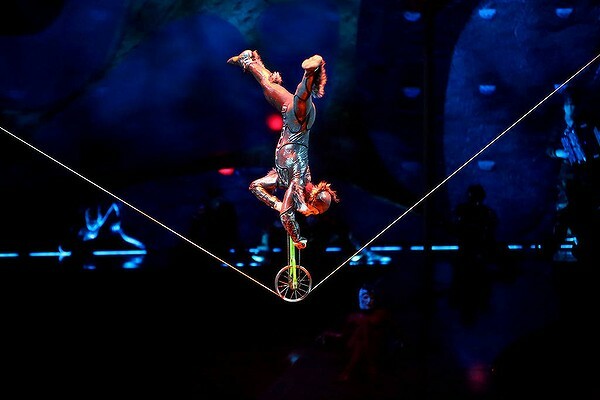 I’ve seen multiple Cirque du soleil acts and they are phenomenoal!! This enterpetation on the act is on point!! And the shots you captured are breath taking! Can’t wait to read more of your posts.